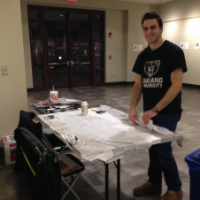 Crossroads promotes programs and events during the cultural heritage months and throughout the year that encourage appreciation of the rich cultural traditions on campus and in the local community. 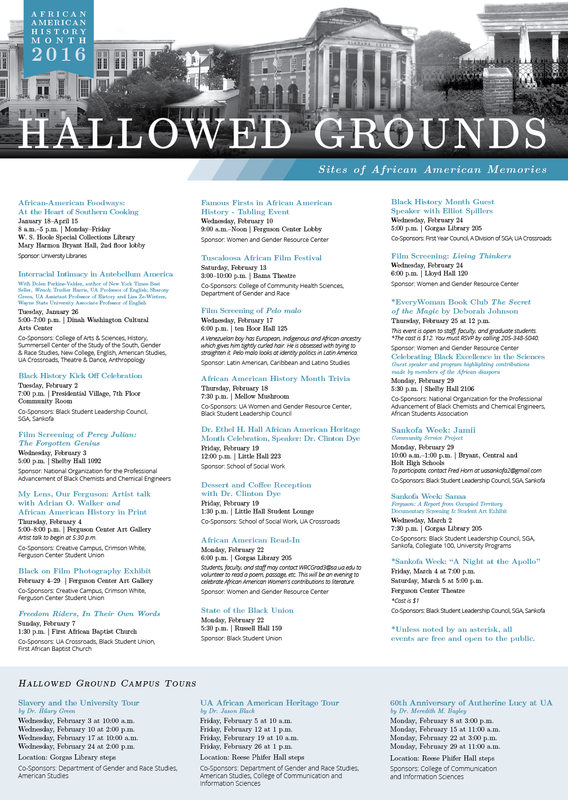 Click to view the 2017 Hallowed Grounds passport. 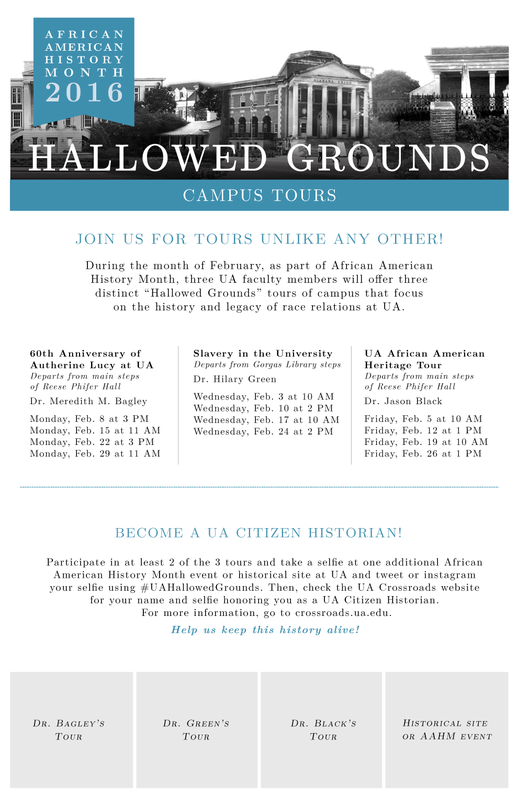 African American History Month 2016 featured the theme of "Hallowed Grounds: Sites of African American Memories." 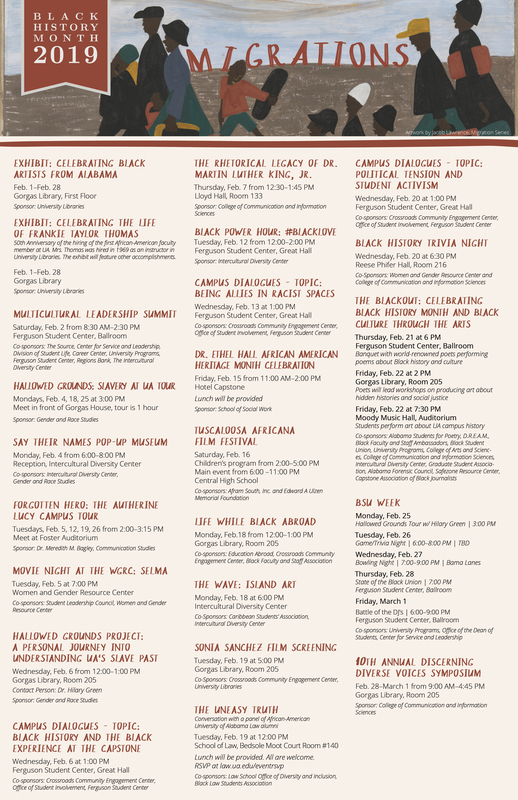 Crossroads helped organize a calendar of events throughout the month of February to celebrate African American history sites on campus. 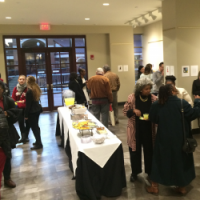 Key events included a panel from the historic Freedom Riders, guided tours around campus that highlighted sites of African American history, and collaborative events across UA departments. 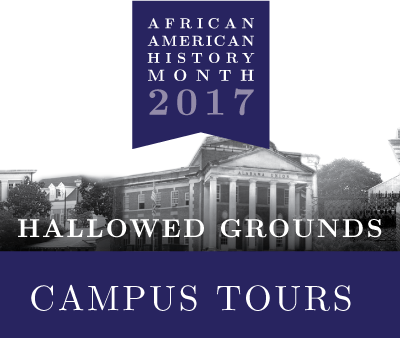 Our guided campus tours were lead by UA faculty which covered different historical interests on campus. 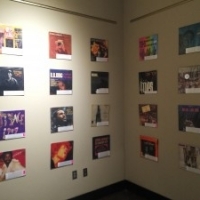 Tour goers were given a "passport" to collect signatures from the different tours, to then show that they had been to all of the Hallowed Ground events. 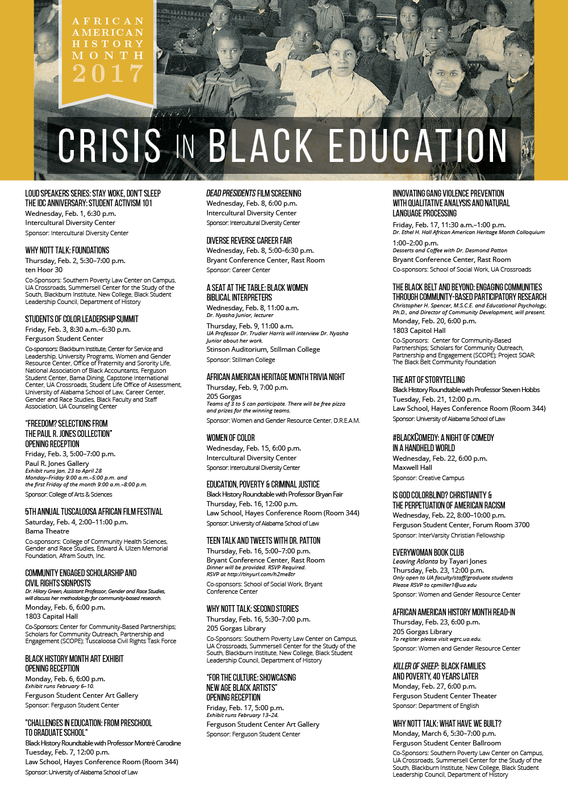 Click the Graphic to the left to view a mock passport. 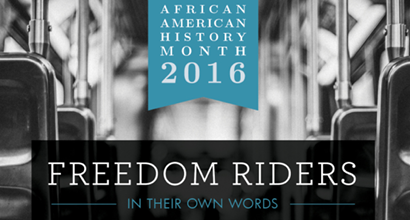 The Freedom Riders was one of our premier events from this year's African American History Month. 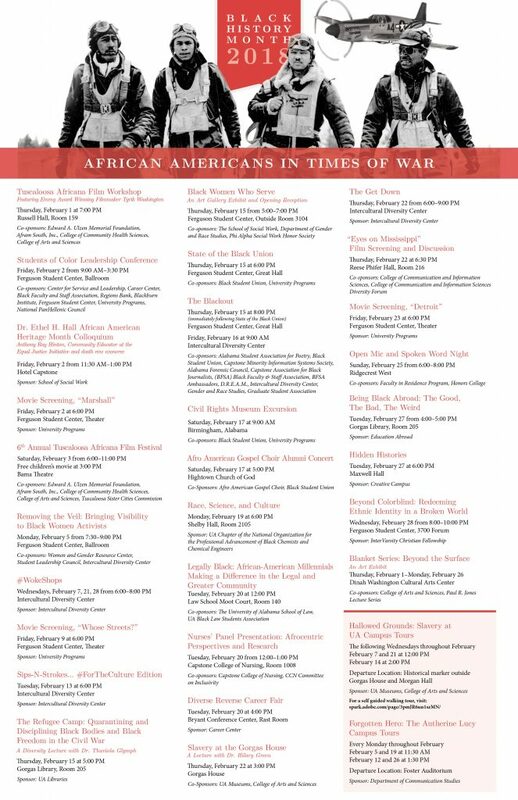 Bringing together a panel of Freedom Riders to discuss their experience and share the significance of ordinary people making an extraordinary difference. 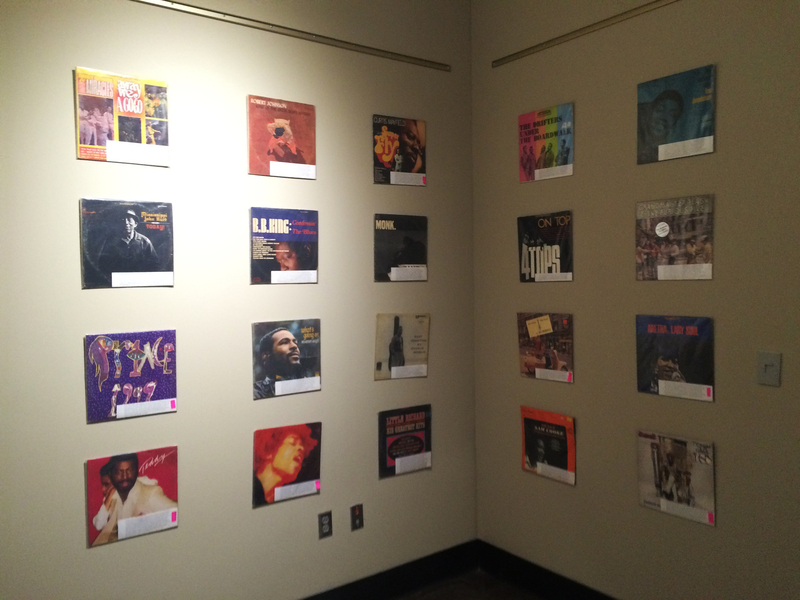 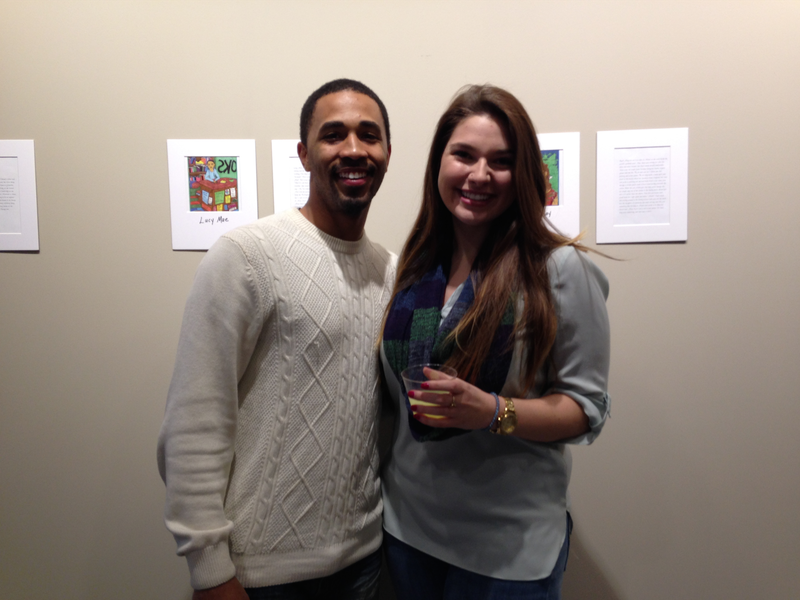 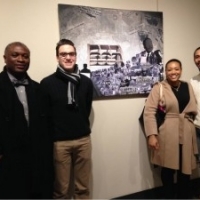 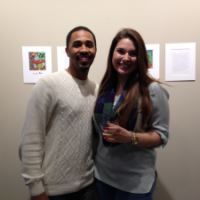 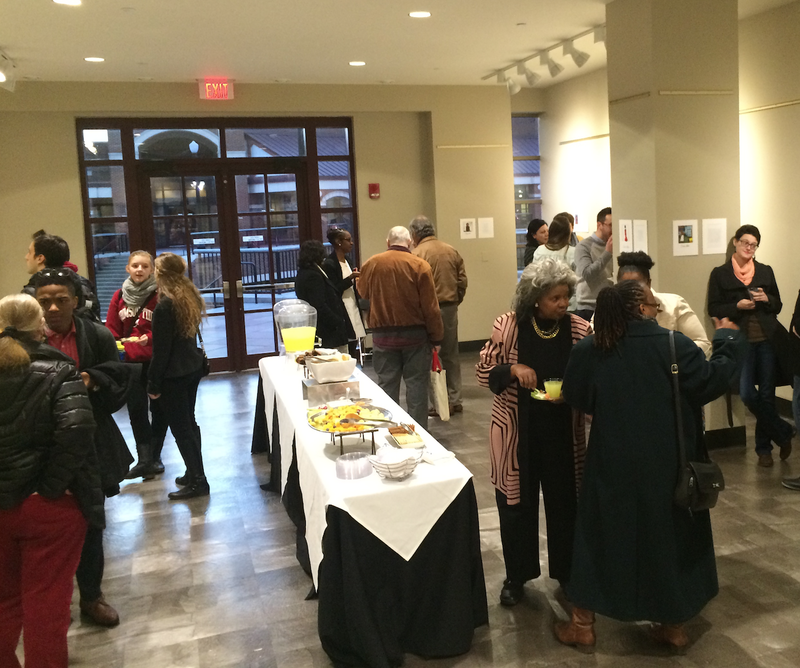 Crossroads' premier event from the 2015 African American History Month was an Art Exhibit in the new Ferguson Center Gallery Space. 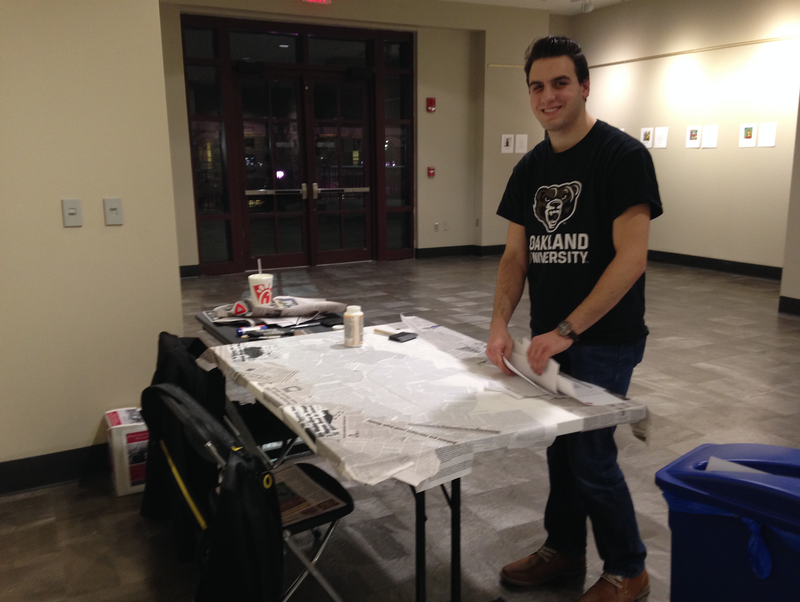 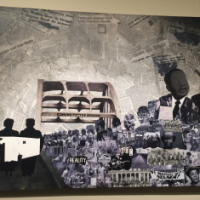 A special piece was created by Steven Scaglione, a UA student, using newspaper clippings from the past century about racial and social progress in Alabama. 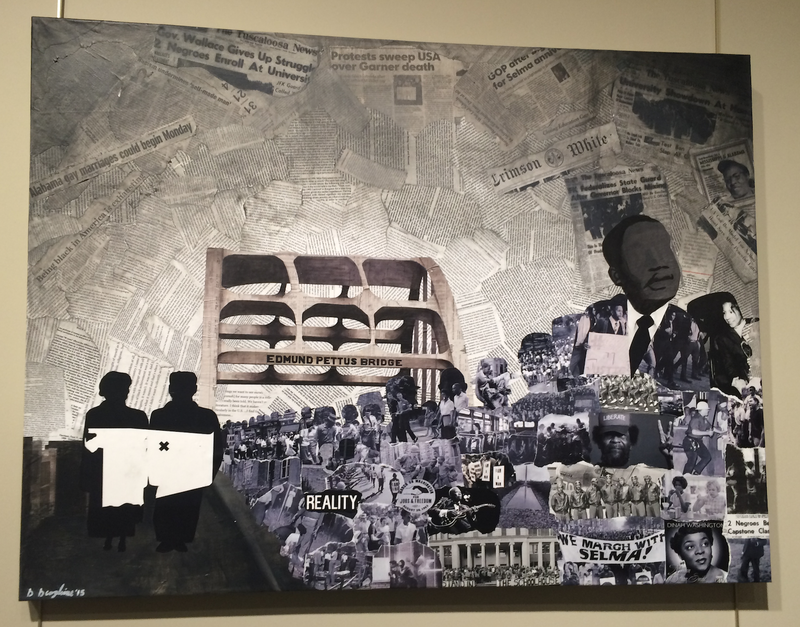 The clippings came together to create a image of the famous crossing of Edmund Pettus bridge in the 1965 Civil Rights Movement protests in Selma, Alabama. 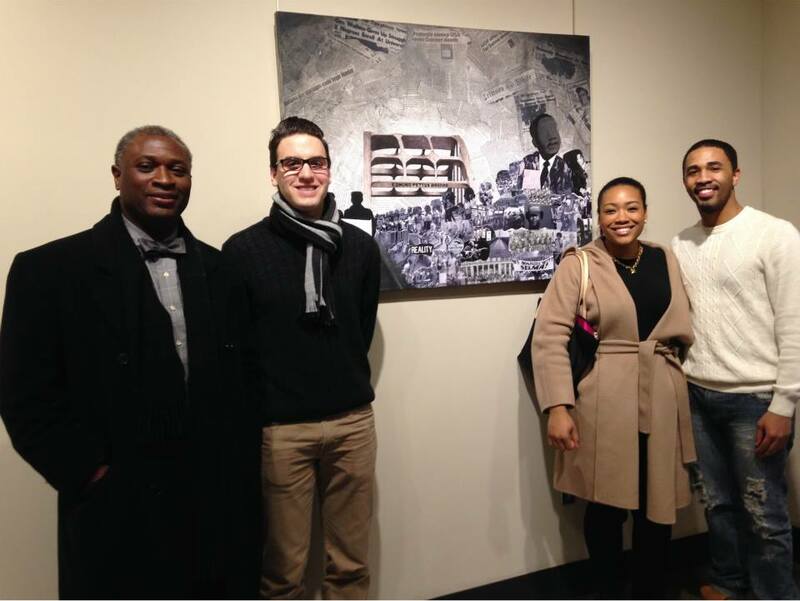 This piece, as well as several others, were featured in the Ferguson Center space throughout the month of February.